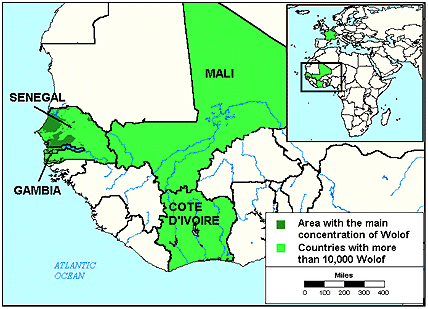 The Wolof are the dominant people group in Senegal, the westernmost country in Africa. Senegal was a French colony before their independence in 1960. Most Africans in Belgium came from former Belgian colonies, but a small number from Senegal and other former French colonies now live in Belgium as well. People of African descent are rare in Belgium. The Wolof in Belgium live mainly in Brussels. That is also the location of Senegal's embassy. There is a disproportionate number of homosexuals among the Senegalese who flee to Belgium for asylum. Homosexuality carries a strong stigma throughout sub-Saharan Africa, and some gays must flee to avoid persecution. Belgium allows some of these refuge in their country, though not as many as are reported in the African press. Since most of the Wolof speak French as a trade language, they are more employable than Africans who speak a different language. Islam was introduced to the Wolof people in 1040, probably because of Muslim traders. The Wolof are attracted to the Sufi form of Islam more than other Muslim peoples. Sufism is much more mystical and "emotional" than other forms of Islam. In Senegal, about 92 percent of the people belong to a Sufi brotherhood, also called tariqas. The Wolof who have migrated to Belgium are probably less dedicated to these brotherhoods, but they are still part of their identity as a people. 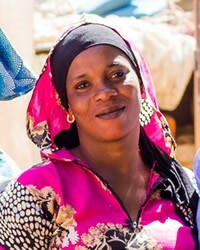 No matter where they live, the Wolof people remain largely untouched by the gospel. There are many Christian resources available for them, but very few who are willing to go to this harvest field. They can be reached for Christ in Africa, but it would be much easier to reach them in Europe. * Pray for dedicated workers who are willing to spend years trying to win and equip Wolof people to be disciples in Christ's Kingdom. * Pray for a Wolof based church planting movement to begin in Belgium. * Pray for the Wolof people to have easy access to gospel materials.